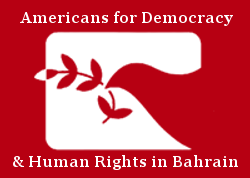 On 17 March, Americans for Democracy & Human Rights in Bahrain’s Executive Director, Husain Abdulla delivered an oral intervention during the Item 4 general debate at the 28th Session of the United Nations Human Rights Council in Geneva. Please continue reading for his full remarks or click here to download a PDF. Alsalam Foundation together with Americans for Democracy & Human Rights in Bahrain (ADHRB), the Bahrain Institute for Rights and Democracy (BIRD), and the Bahrain Center for Human Rights (BCHR), would like to call the Council’s attentions to deepening human rights crisis in Bahrain. Bahrain continues to systematically use arbitrary arrest and detention, torture and ill-treatment, as well as extrajudicial killing, to severely restrict free expression, free assembly, free association and silence critical voices peacefully calling for reform. Since the last session of the Council, Bahrain has targeted human rights defenders like Nabeel Rajab, Zainab al-Khawaja and Husain Parweez with arrest and prison sentences in relation to their work. Finally, we are deeply concerned that the government of Bahrain is systematically targeting the Baharna community. The government utilizes nightly home raids, excessive use of teargas, arbitrary restrictions on movement and the demolition of religious sites, particularly in the Baharna villages of Sitra, Bani Jamra, al-Durraz, ‘Aali and Sanabis, among others. Over the past four years, over one quarter of the States in this assembly have raised their concerns over the continued human rights abuses in Bahrain in four successive joint statements. At the same time, none of the Special Procedures have been allowed entry to Bahrain. We therefore call on the Council to take seriously these institutionalized, systematic abuses by the Bahraini government, and recommend that a Special Rapporteur be created to investigate, document and report on the human rights situation in Bahrain.